Yes, I confess. I’m an Italian food junkie. But sometimes my American side kicks in. Pancakes, hot dogs, hamburgers, mashed potatoes, grilled cheese sandwich, BLT, (endless list). The other day I was hankering for beef stew. 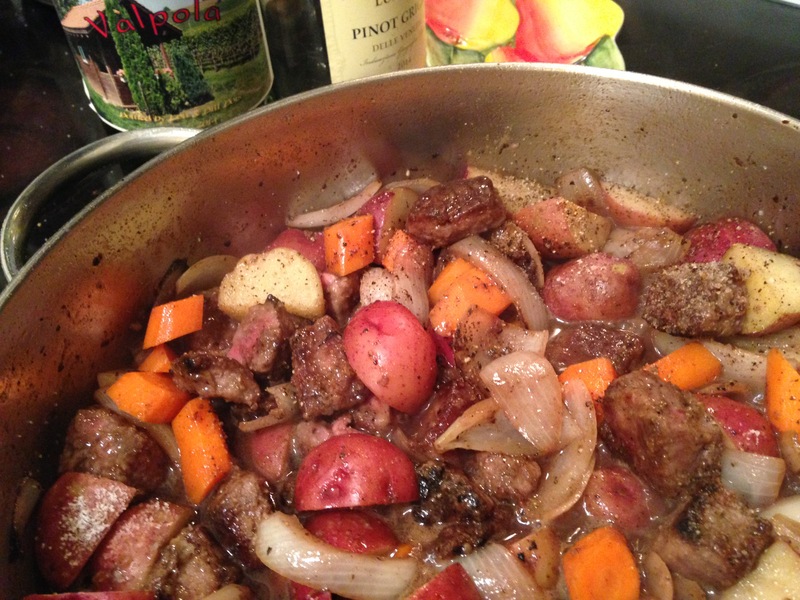 It’s fun to gather ingredients and just dive in (following simple braising methods) and put together a yummy stew. I served it over rice. Duane and I demolished it. Because I created it on the spot (but with the usual characters cooking in the pan), and since Duane wrote this cool music to accompany the process, I call it: Not Ur Grandma’s Beef Stew. Black & White Cake? 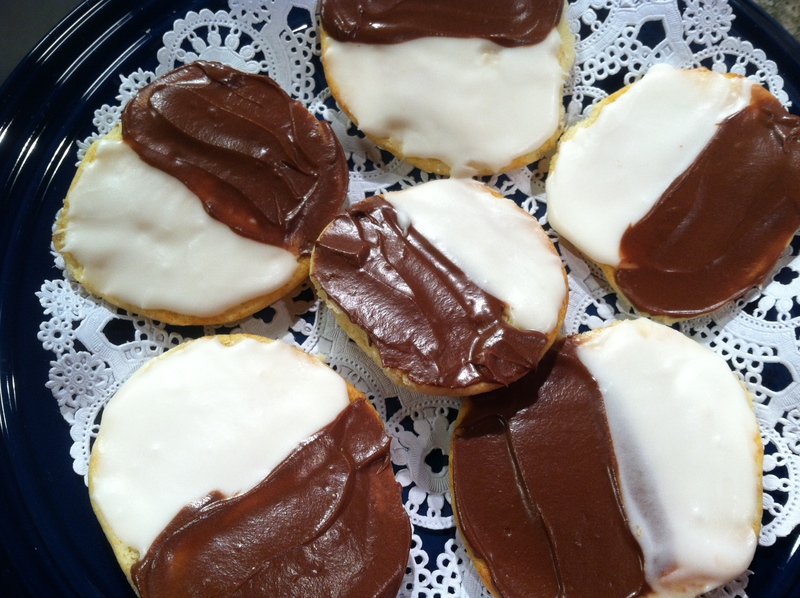 Black & White Cookie? I think it depends on where you are from. Growing up in NY we knew these as black & white cakes. They were usually a good 6 inches in diameter. One half iced with chocolate, the other with vanilla icing. I always loved the chocolate side, and ate the vanilla side first so I could end with the best. Now we make them at home (and in class) and we make them small — about 2-3 inches in diameter. So you can eat them in about 3-4 bites and each bite can be a combo of chocolate and vanilla. Yes, this is one of those treats where the eating of it is kinda part of the recipe! Often, people who come to my class don’t know these cakes. 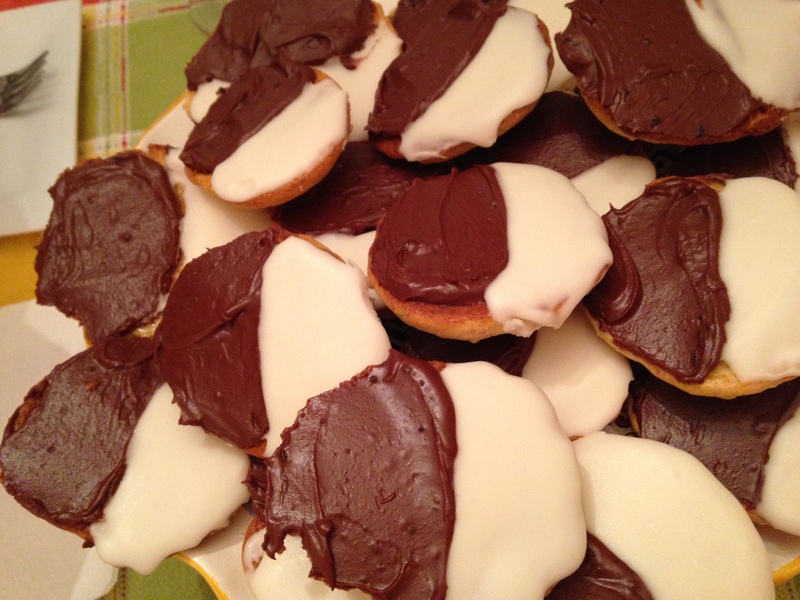 Or they do and say:”I thought they were black & white cookies?” A couple of people knew them from Disney World (???) and then a couple knew them from watching Seinfeld. But here’s the recipe and a SECRET: my mother figure out how to make them — she transformed her forever-cupcake batter into black & white cake batter with a tiny adjustment. I won’t point out where the adjustment lies (you may figure it out) because I’m not in the habit of giving away ALL secrets! In the bowl of a stand mixer (or using a hand mixer) cream the butter and sugar together until smooth. Add the eggs one at a time until each is incorporated. Mix in the vanilla and milk. In a separate bowl whisk together the flour and baking powder. Add to the butter mixture and mix until just combined (don’t over-mix). 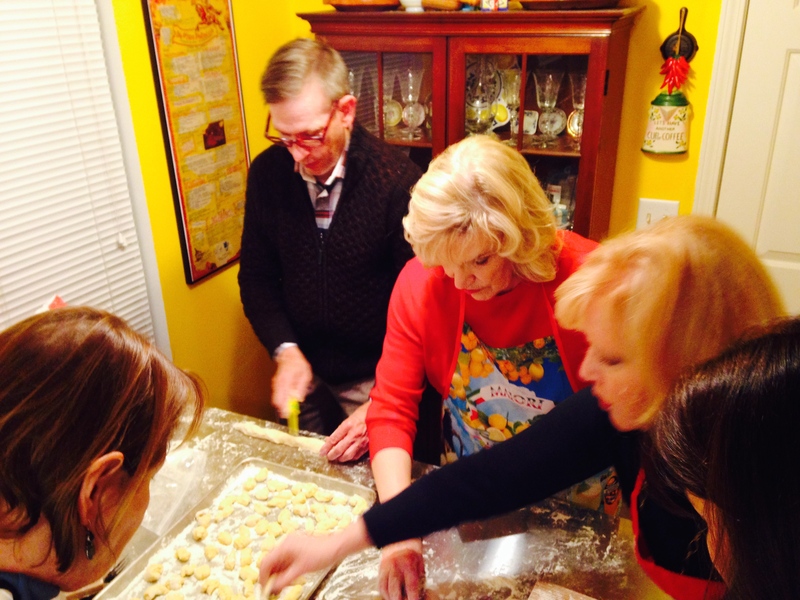 Line a sheet pan or cookie sheet with parchment. Spoon about 3 tablespoons of batter for each cake. Line them up with at least 1/2 inch in between. Bake until golden, about 10-12 minutes. Let cool, then gently peel from the parchment. Ice the flat side of the cake. Using a spatula, butter knife, or offset spatula, smooth half the cake with chocolate icing and the other half with vanilla. Let icing set before storing. 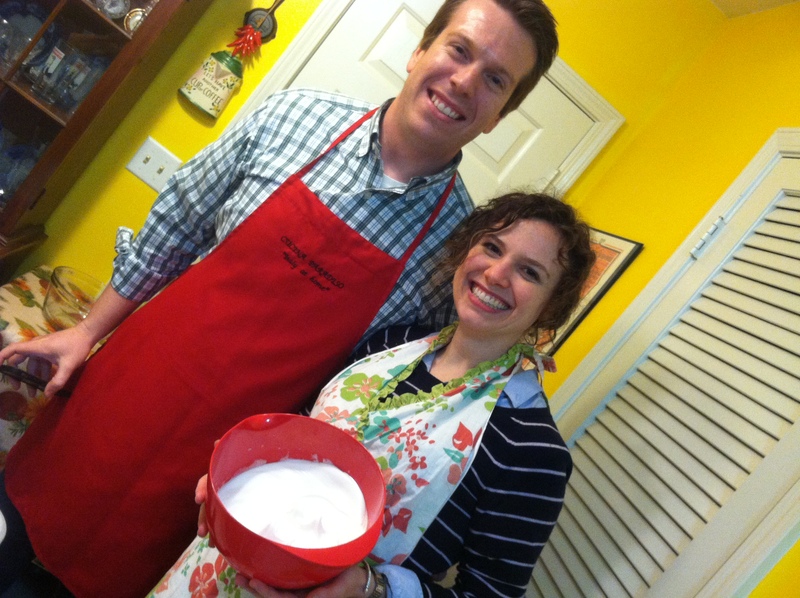 Make the vanilla icing: Smooth the butter in a medium mixing bowl. Add the sugar and vanilla and mix together with butter using a spoon. Drizzle a little hot water on the mixture and stir vigorously to make the icing into a not-too-thick, not-too-thin consistency. If too thin add more sugar. Too thick add more hot water. Make the chocolate icing: Smooth the butter in a medium mixing bowl. Add the sugar, cocoa, and instant espresso and mix together with butter using a spoon. Drizzle a little hot water on the mixture and stir vigorously to make the icing into a not-too-thick, not-too-thin consistency. If too thin add more sugar. Too thick add more hot water. I love playing with puff pastry dough. I’ve used store-bought (in the freezer section) often. 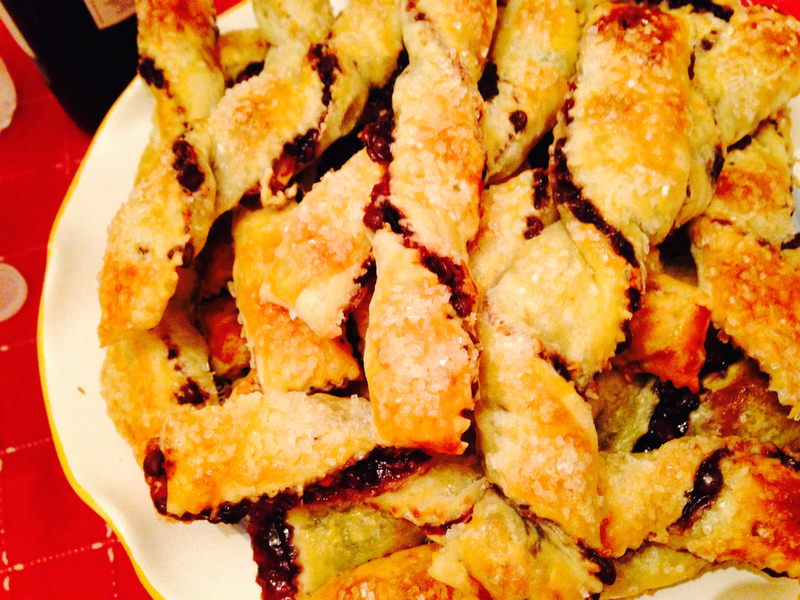 Making your own puff pastry dough is a major project–one that I usually have no time to do. 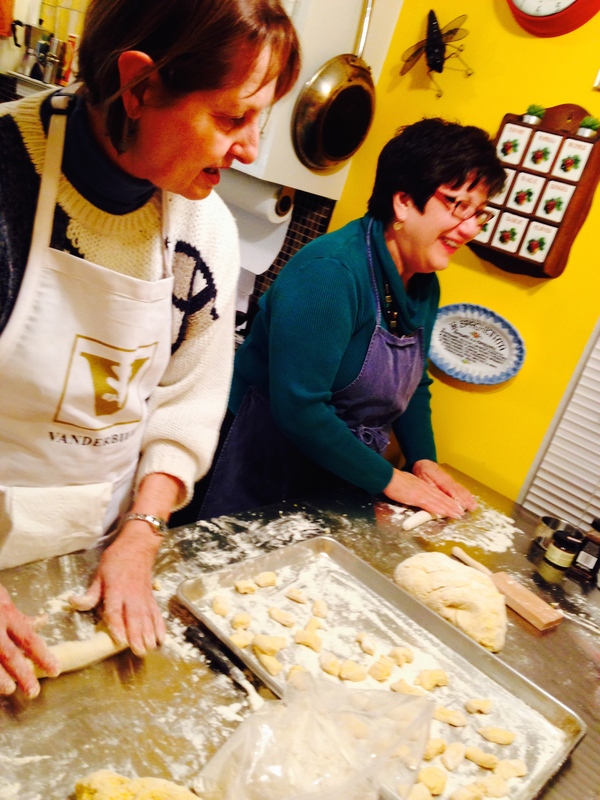 (But try it at least once…it’s fun and a great learning experience as to what goes into the stuff–think BUTTER!). I’ve used Pepperidge Farm brand, Dufour, and Trader Joe (which they only sell during holiday season — why is that? I don’t know). And they all work beautifully. Here is a twisted recipe. You can try this twist with a lot of fillings. I used to make twists like these using biscuit dough and filling it with butter, cinnamon and sugar. Then glazing the finished twists with vanilla icing. A kind of cinnamon bun in a twist. 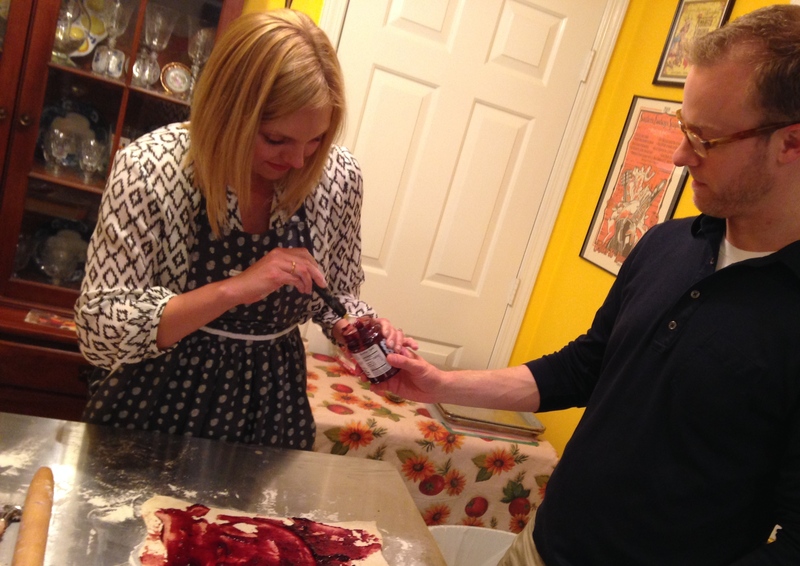 But here’s how this recipe goes (we did it in class, too). Roll out one puff pastry sheet of dough on a lightly floured work surface. Roll it till it’s about 30 percent bigger than it started out. Keep the rectangular shape. 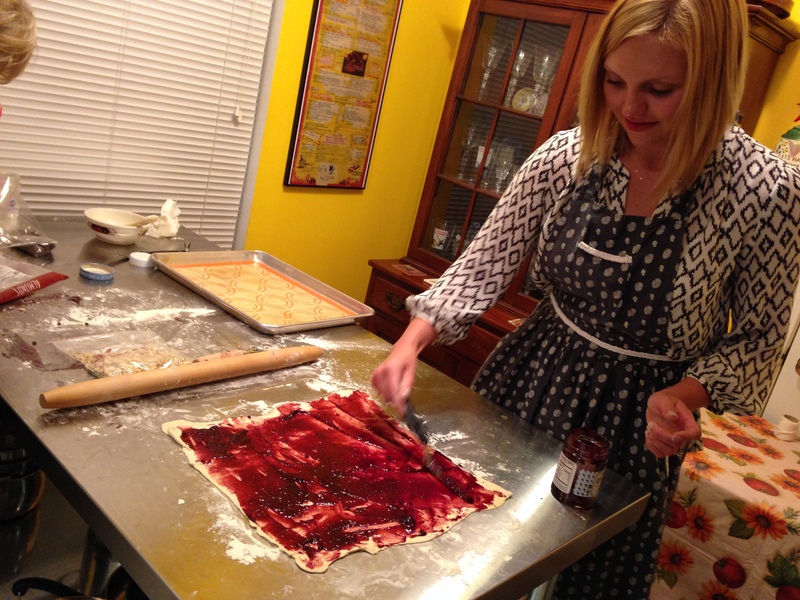 Spread your favorite jam in a thin layer on top. 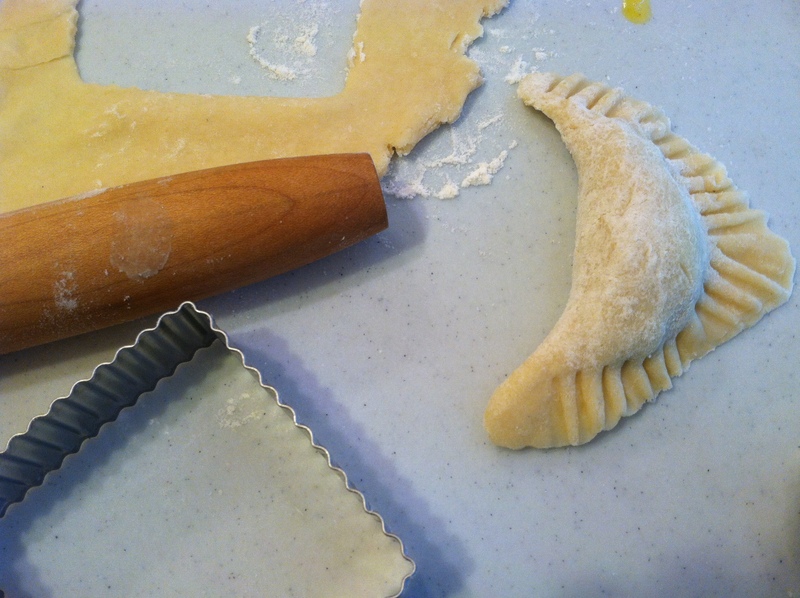 Now cut the dough in half lengthwise (I use a fluted cutting wheel). Separate the pieces a bit. On one half sprinkle mini-chocolate chips. Just in a single layer and you don’t have to fill ever spot. Place about a 1/2 cup of sliced almonds in a plastic bag. Roll a rolling pin over them crushing them into small pieces. Sprinkle the small pieces of almond on top of the mini chocolate chips. Place the half with just the jam over the other half face down (so the 2 jams sides are touching) lined up evenly. Now cut across the shorter end into 3/4-inch strips (again, I use the fluted wheel). Give each strip a double twist and place them on a parchment or silpat-lined baking sheet. Continue with the rest of the dough. Egg wash the strips. Sprinkle sparkling sugar. Bake at 400 degrees for about 12 minutes until golden. Voila! 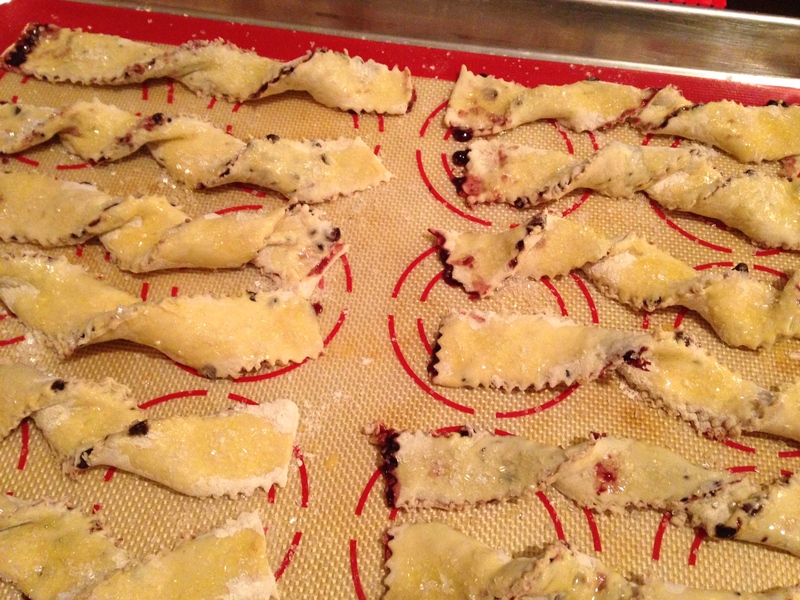 Next time I’ll show you my fav savory pastry twist…with olive paste, sun-dried tomatoes and sesame seeds. But first: dessert! But the supermarket still has ’em and I’m still buying them and still relishing in butternut squash gnocchi. We just made some in class last week. Once we sat down to eat…after all the cooking and prepping and bustle in the kitchen, a newly poured glass of wine dosido-ing with the dinner plate, ready to play…I stuck my fork into one of those pillowy gnocchi and took a bite. Ah, yes. Wasn’t that little dance in the kitchen so worth it? Ah, yes. Yes, yes, yes. They are not hard to make. Just one little tricky part. You never know how moist your cooked butternut squash will be. So the flour amounts in the recipe can change. This should be no problem. Just try to add as little flour as you need, but as much to get a nice soft dough, not too sticky, but a little tacky is okay. I trim my squash of top stem and a sliver from the bottom. Cut the squash in half at the point where it just begins to widen. Be careful cutting this odd-shaped beauty. It’s pretty dense with no straight sides. Cut each half in half lengthwise. Scrape seeds from the bottom quarters. Lay the pieces cut side down on a sheet pan with about a 1/2 inch of water. Roast until tender, let cool, then scrape out your squash. 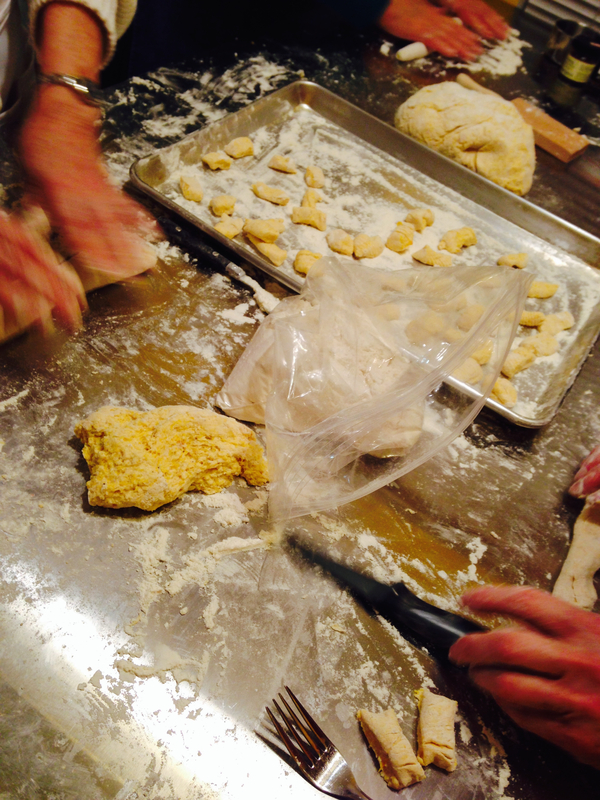 We paired the gnocchi with a simple tomato sauce flavored with sun-dried tomatoes, sage, and butter. If you try it, let me know how it goes! Make the Sauce: Melt the butter in a medium saucepan. 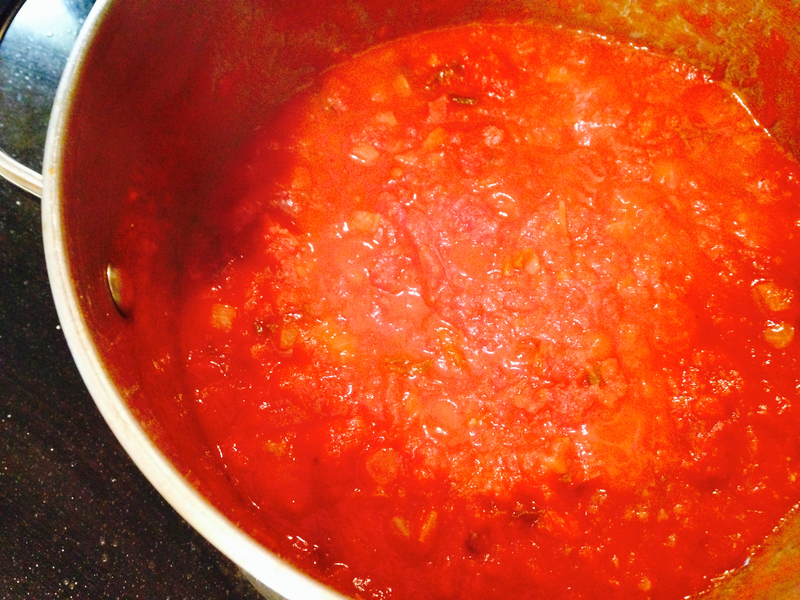 Add the onion, sun-dried tomatoes, sage and sauté until onions are softened, about 5 minutes. Add the wine or vermouth. Let sizzle and almost evaporate. Add the tomatoes. Season with salt & pepper. Simmer for about 15 minutes or more. Make the gnocchi: In a large bowl, mix together the squash, ricotta, grated cheese, nutmeg, hot pepper and salt & pepper. Add 1 cup of flour and gentle mix in with a large spoon making sure the mixture is smooth and any small chucks of squash are mashed. Add more flour until you have a dough consistency. Knead until combined. It may be a little sticky – that’s okay. Break off a small handful of dough and roll into a log about a ½-inch thick. (Coat with more flour if too sticky to handle.) Cut log into ¼-inch pieces. 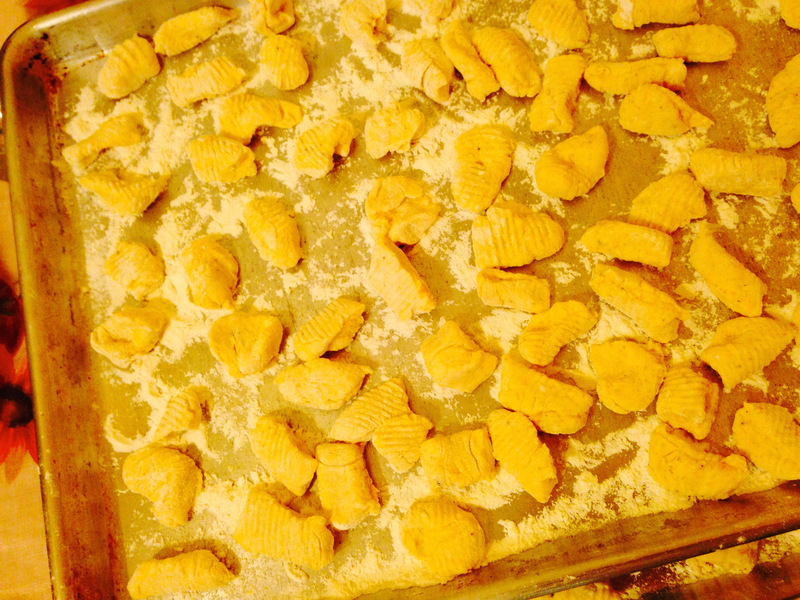 Press each piece lightly against a gnocchi board or the tines of a fork. Toss with flour on a flour-dusted baking sheet. Try not to let them touch to keep them from sticking to each other. Repeat with the rest of the dough. Finish dish: Bring a pasta pot full of water to a boil. Season with salt. Drop in gnocchi. Cook until they float to the surface, about 2-3 minutes, then let cook for about one minute more. 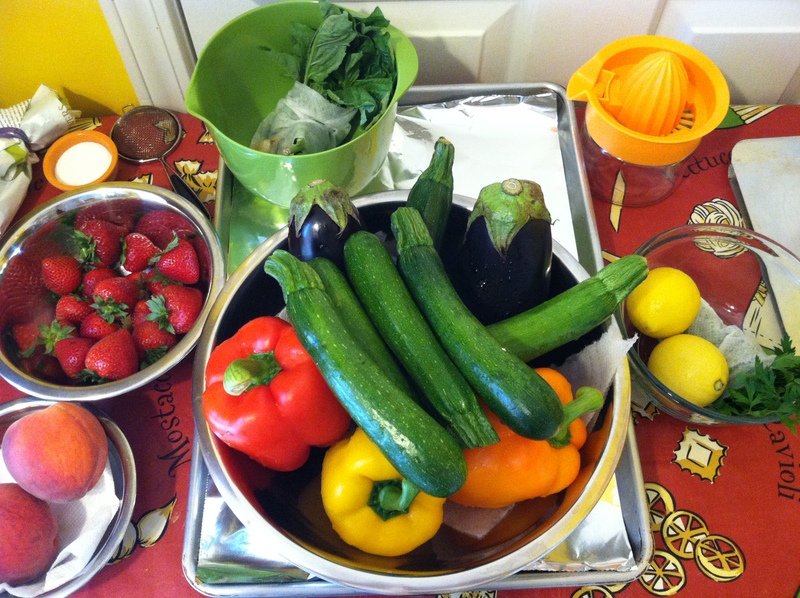 Remove with a slotted spoon to a serving bowl. Gently coat with sauce. Now I’m getting a little silly with Google maps and their wild way of getting you an image of a particular building. Snapshots from my past appear with a few key strokes (plus my solid memory of addresses!). The building in the photo above is the first house I ever lived in. It’s on West 11th Street in the Bensonhurst neighborhood of Brooklyn. Those two windows on the first floor were my bedroom. It was a railroad apartment…each room right next to the other in a long line. My bedroom, led into my parents’ bedroom, led into the living room/dining room, led into the kitchen and then continued down a long hallway to the bathroom. My Aunt Mary and Uncle John lived upstairs. They weren’t really my aunt and uncle but that’s how I knew them. They were friends of my parents — I assume they met because they lived upstairs. But my Aunt Mary became a mentor to my mom (who was a new bride, a new mom) and showed her recipes, gave her tips, and was, in general, there for her. Mary and John were Sicilian. So the recipes followed suit, but they were also somehow influenced by this New World, this New York, this Brooklyn. 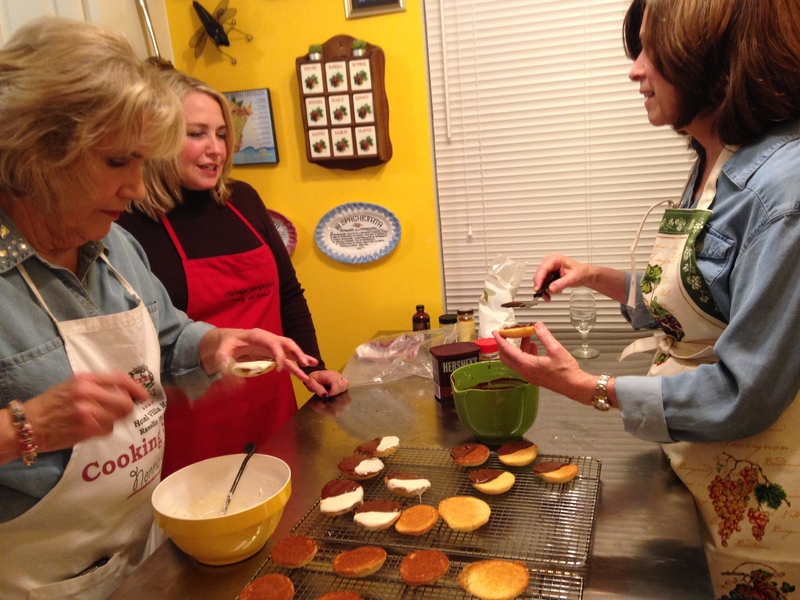 Every recipe of Aunt Mary’s is wonderful. And each has lived within my family for years and years and are still reliable favorites. 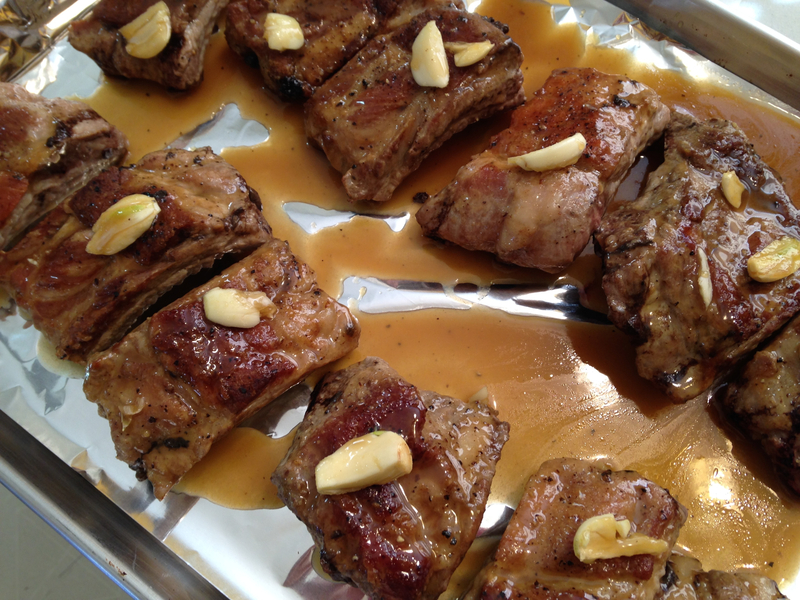 Here’s her spin on spare ribs or baby back ribs. 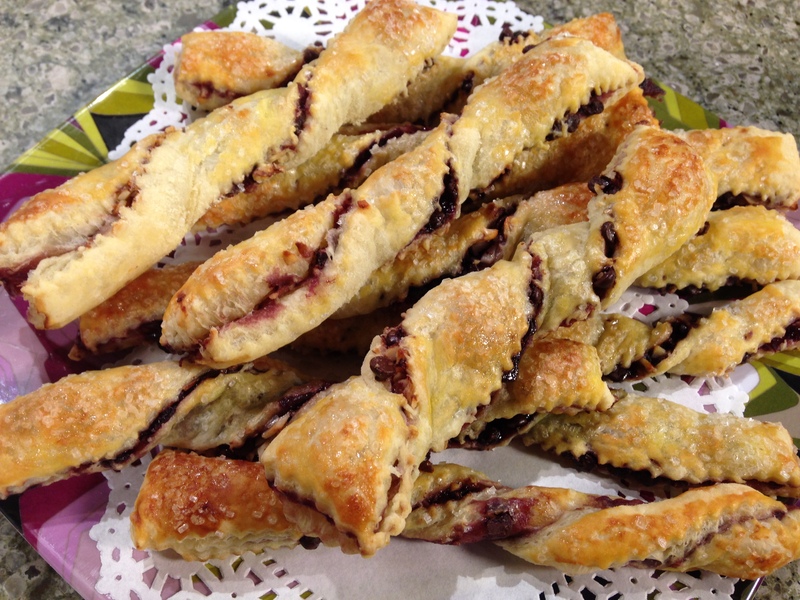 We made these recently in a cooking class with a menu of Aunt Mary recipes! 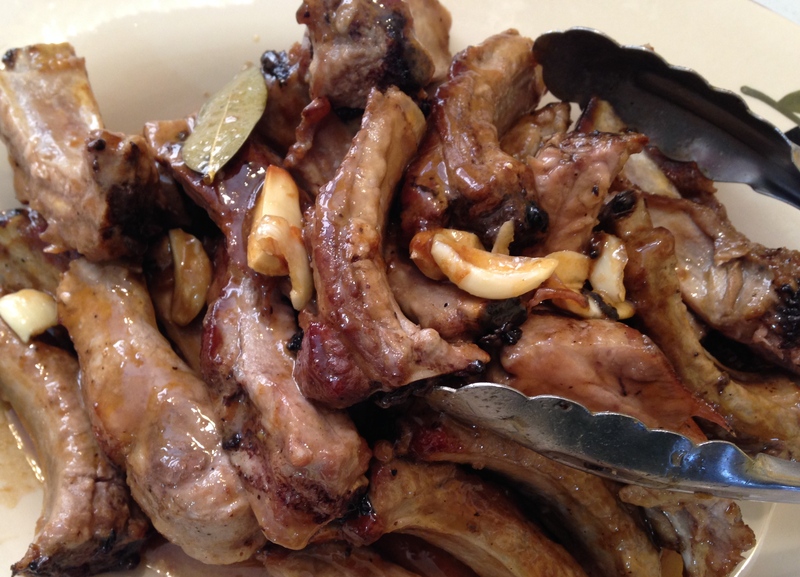 Season ribs with salt & pepper. Heat the olive oil in a large sauté pan. Brown ribs until golden on each side. Mix a couple of cups of water with half the vinegar. Pour over ribs and add bay leaves and some hot pepper. Let simmer partially covered for 20 minutes. Meanwhile mix together the remaining brown sugar and vinegar with the garlic and mustard (add a bit more of any of these ingredients if you lean that way). Season with salt & pepper. Lift out ribs from the cooking liquid and transfer to a foil-lined sheet pan. Coat ribs with the sauce. Cover loosely with foil and bake in oven for 20-30 minutes until tender. Cut ribs into single pieces, pour any remaining sauce over them and serve. 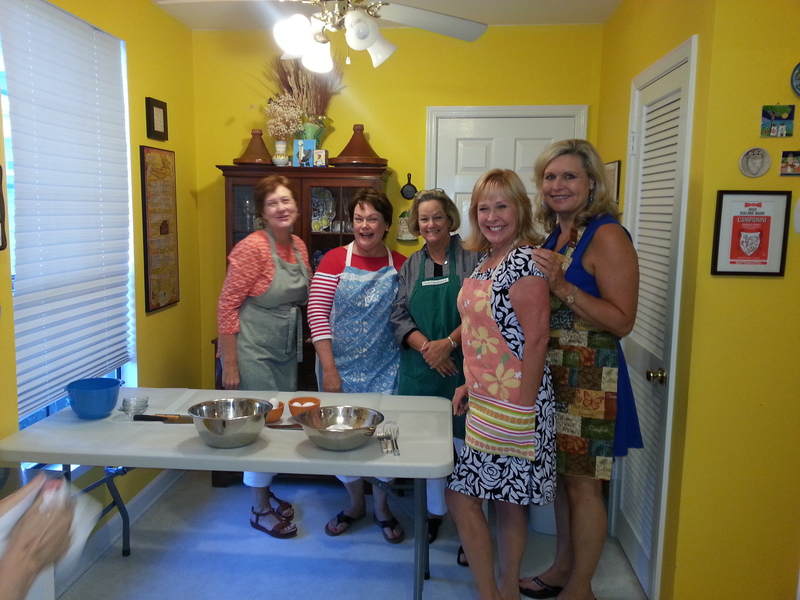 Here’s my class who are now Aunt Mary Recipe experts (and enjoying all)! 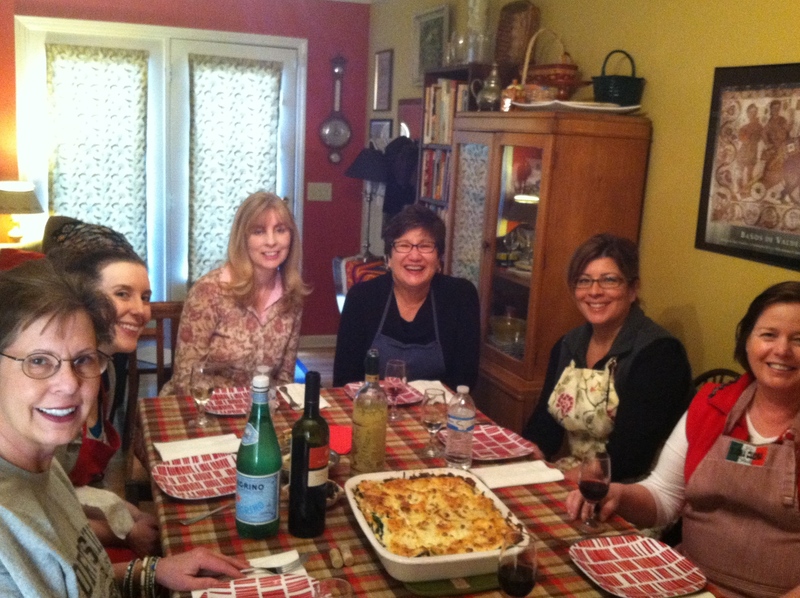 We also made Aunt Mary’s Baked Rice w Mushrooms & Celery, and Vanilla Cupcakes w Chocolate-Espresso Icing. 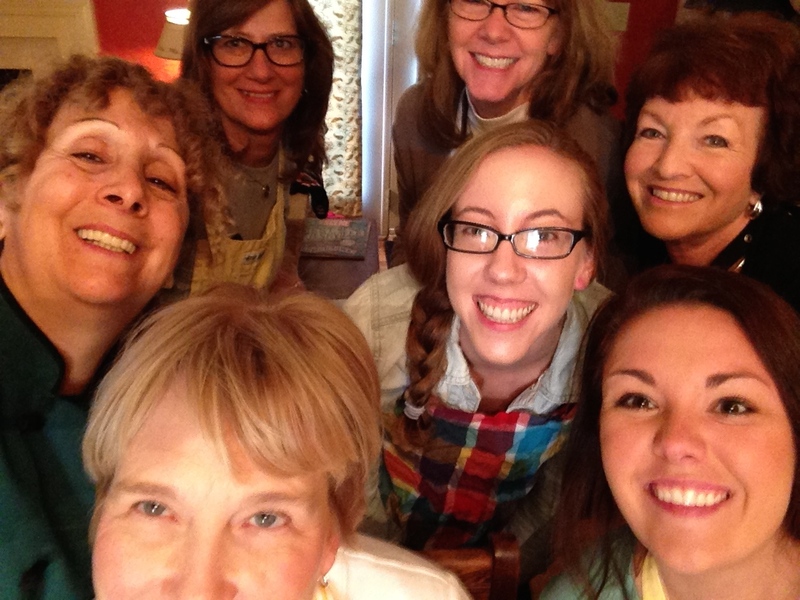 Is it a class or a dinner party? 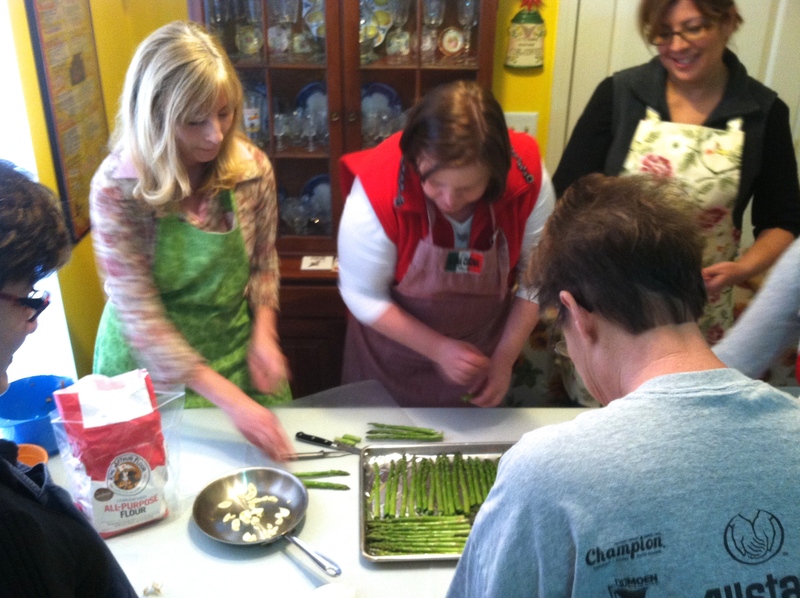 When I hold a cooking class I always feel like I’m hosting a dinner party. 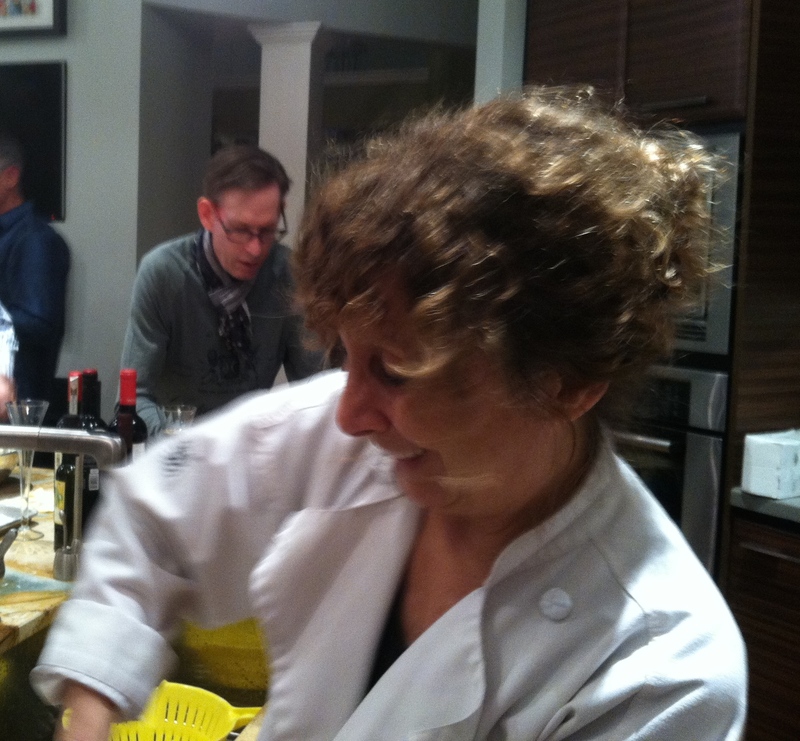 A dinner party where everyone cooks. And, of course, everyone eats. We’re all in the kitchen. 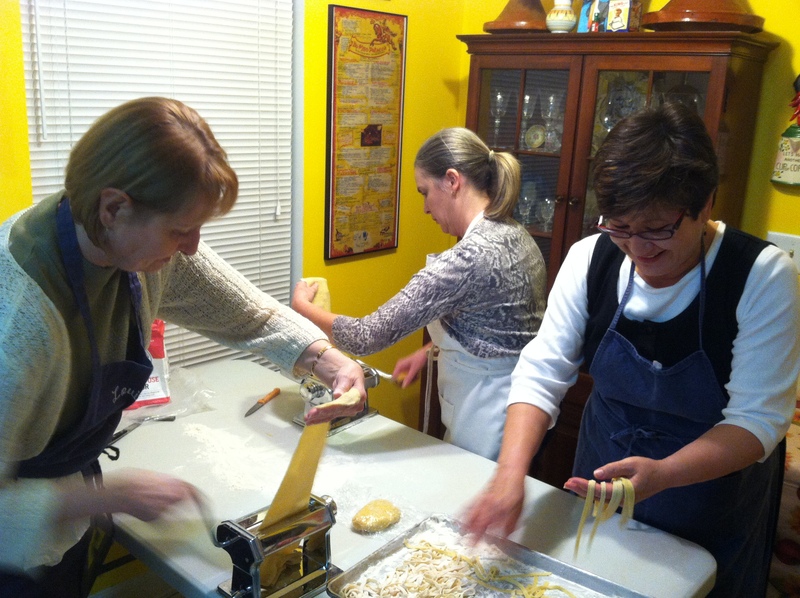 …as we teach our fingers to shape orecchiette and farfalle. 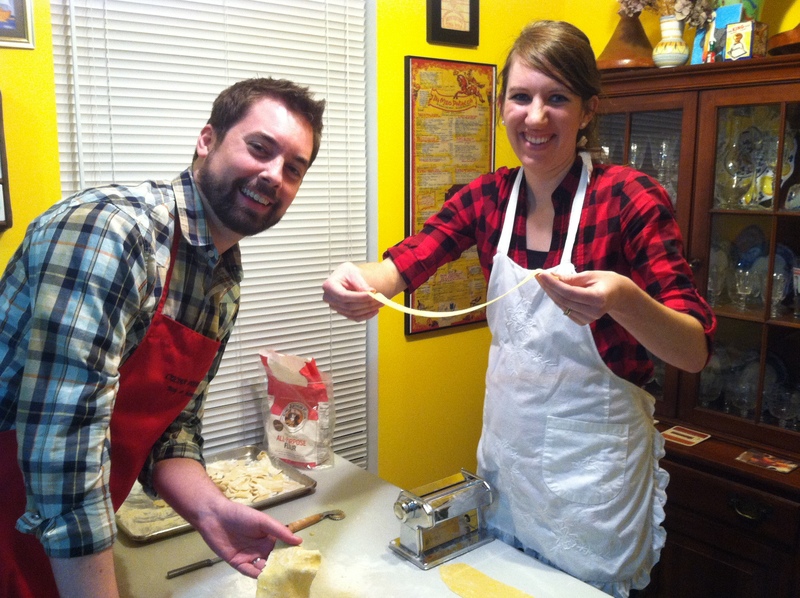 Roll ropes of gnocchi. Roll out pliable pastry dough. And any number of small and big tasks that go into making a great dinner. Fall 2013 Class Schedule Coming Soon!